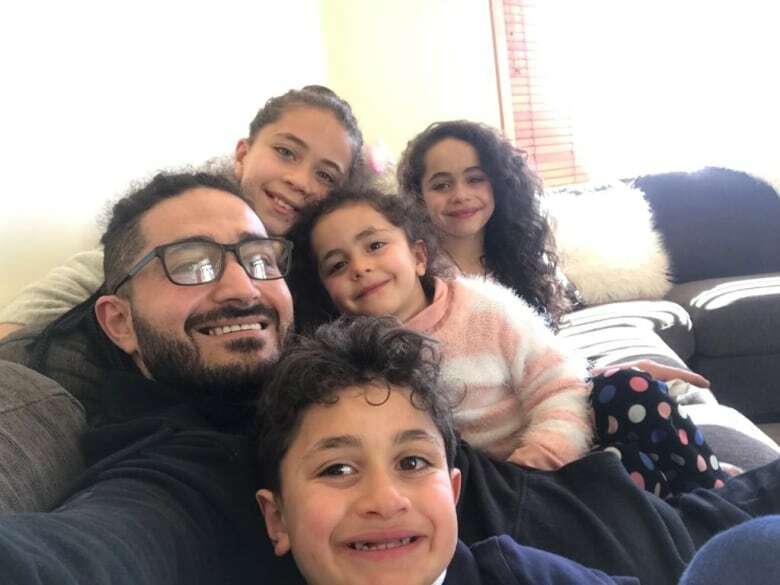 The last thing Christchurch mosque shooting survivor Wasseim Alsati remembers before he lost consciousness is his daughter’s tiny belly covered in blood. 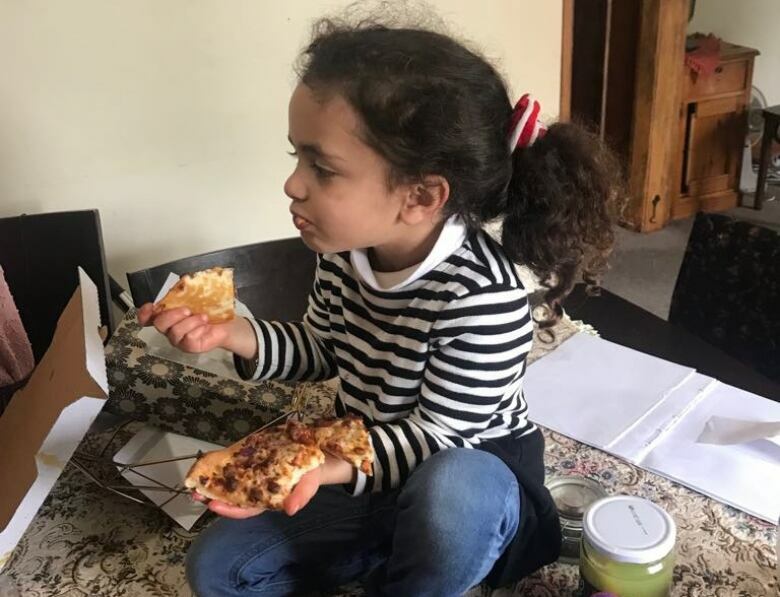 The New Zealand barber had a rare morning off on March 15, and he decided to spend it with his then-four-year-old girl Alen Daraghmih and take her to mosque with him. “That was her first time in life to come with me to the mosque,” Alsati told As It Happens host Carol Off. But before they even got inside Al Noor, both father and daughter were shot and left for dead in the parking lot. Monday marks one month since a gunman slaughtered 50 people at two Chrirstchurch, N.Z., mosques. For the survivors, the road to recovery has been a long one. Bystanders found them and drove them to hospital. Hospital staff assured Alsati that both he and Alen would be treated with the same urgency and care. Then doctors started to cut the blood-soaked clothes from his body, and he slipped into a coma. But he was wrong. He did save her. Alen was unconscious, but alive, at the children’s Starship Hospital in Auckland. The shooter had aimed his automatic rifle at the little girl’s head, but her father scooped her up and shielded her. She took a bullet to the stomach and another to her toes. He kept slipping in and out of consciousness, he said. And every time he woke up, he started screaming, certain his youngest child was gone. Alsati was eventually moved to Auckland City Hospital, across the street from Starship, so he could see Alen with his own eyes. “When [the nurse] took me there, I start crying, and I asked to hold his hand and hold my daughter’s hand. And I thank him a lot, and I say to him, I say to my daughter’s nurses, ‘Look after my daughter, because I cannot,'” he said. Alen awoke from her coma during the first week of April. She turned five while she was still unconscious — a birthday her father thought she’d never live to see. She’s had eight surgeries so far, and doctors say it could be another six months before they can assess just how bad the damage is. Alsati, meanwhile, took a bullet to the hip and is unable to walk. He still has bullet fragments in his body. Doctors tell him it will be at least another 18 months before he’s back on his feet. 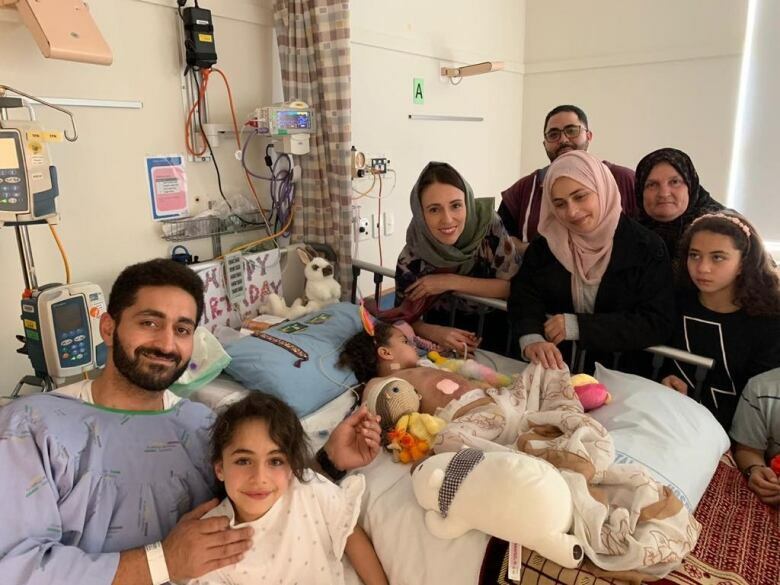 The family is getting by on the support of their neighbours and fellow New Zealanders, Alsati said. Meanwhile, Brenton Harrison Tarrant of Australia faces 50 murder charges and 39 attempted murder charges in the March 15 attacks. “The shooter, he didn’t succeed. He will never succeed. Even if there’s a hundred shooters like him, they will never succeed,” Alsati said. Written by Sheena Goodyear. Interview with Wasseim Alsati produced by Ashkey Mak.